Around 1978, Foodland grocery stores ran a promotion centered around a 30-minute horse racing program called “Let’s Go To The Races”. With each grocery purchase you would receive a game card with a horse number for each of the five races that would be run during the Saturday night program. If your horse won its race, you were the lucky winner of between $2 and $500. So each Saturday night, my brother and I gathered around the TV with our game card (or in the luckiest of weeks we’d have two cards). Our mom let us live with the impression that if we were lucky enough to win big, the money was ours to keep. For 9 and 10 year old boys in those days, $500 would buy pretty much an infinity of baseball cards and Kiss albums, so we were on the edge of our seats in the time slot preceding Hee Haw. There were times where we were able to cash in on some $2 and $5 winners. But our luck just never worked out in the higher dollar races. Looking back, it was pretty amazing just how many times our horse jumped out to a 10-length lead in the $500 race. My brother and I jumped around the living room and yelled and cheered, thinking we were certain to be rich. But our horse always managed to lose in a photo finish when the stakes were highest. Dejectedly, we’d tear up our race card, throw couch cushions off the walls……….and think that surely we’d win next week. In our young minds it never sunk in that the races were pre-recorded, and that the 2nd place photo finish loser was always going to be the number showing up on most everyone’s game ticket. For the races that we witnessed, somebody already knew who was going to win. That someone wasn’t us. And maybe that’s why our anger, frustration, and disappointed were amplified in defeat. Uncertainty. Helplessness. They feed anger. My oldest son is just a couple of months away from going away for college. I do remember being at that age and the anxious times of transition from high school to college and the new range of thoughts and worries that crash into your brain. He caught me off guard earlier in the week, asking the type of question that he usually wouldn’t ask. His nature is to listen, pay attention to what’s going on around him, and figure most things out on his own. I wasn’t sure if he was specifically having trouble with anger and irritation or if he just got it in his head that I was an above average performer when it comes to anger management. Either way, I gave a lame answer. How do I not get angry? My faith in God. My life experiences, being able to recognize that most things that people get so angry about aren’t worth getting angry about. Don’t get me wrong. I get way madder than I should about printer problems, socialism, and stripped out screw heads. But there is a certain peace from knowing who wins in the end that takes away the fear, uncertainty, pride, and feelings of helplessness that feed the beast of anger. My Jesus, who died on the cross for my sins and yours, he also rose again from the grave taking eternal victory over death. So when we get in the habit of taking pause to try to see things in an eternal perspective, in terms of Heaven and Hell and the promises of God……….most things we get bent out of shape over just aren’t worth getting bent out of shape over. “Did Jesus die on the cross for me to flip out over this? To talk to another human being like this? To withhold forgiveness like this? No. Our pride is too great. Our love is too little. Our trust in God is lacking. Our vision is too short. We fail to find an eternal perspective. It may sound a bit too simple. But anger grows from thoughts of justifying reasons to be angry. Anger dies, and peace comes when our thoughts turn to Jesus, a cross, and an empty tomb. We already know who wins. I know I’m not holding a losing ticket. Shame on me if I can’t find peace in that. I rushed out the door with my son Kal one fall morning, trying to get him to school on time. As I started down the hill of our leaf-covered driveway, I sensed that something just wasn’t right with my vision. It took entirely too long to realize that a lens had popped out of my glasses. Driving with one good eye and one bad eye seemed to be more dangerous than simply removing my glasses. Kal always took his morning flag-raising duties seriously. I didn’t want to make him late. There was no time to go back and find the missing lens. I took my glasses off and drove on. “Dad, can you even see without your glasses?” Actually I couldn’t see well at all. But I knew the route well, and I could at least make out images of large things like cars. After dropping Kal off at school, I drove back towards our home to hopefully recover my missing lens. I knew there were only about two million freshly fallen leaves covering our driveway, and I was pretty sure the lens was somewhere in the middle of them. My mind wandered as I realized how poor my vision had suddenly become and how I was struggling just to drive. Thoughts drifted back to a time nearly twenty years ago. Sobering memories rushed in of a time when my heart was full of gratitude. I remember so plainly becoming a father for the first time. The feelings of awe. Experiencing in the most powerful way just how loving and awesome God truly is. And getting a new glimpse of how small and powerless I am. Those first times walking the floor at all hours of the night with a crying baby. Feeling helpless as to what I was doing, unable to console our crying bundle of joy. Singing, whispering, talking, and trying anything to get our firstborn Macy to stop crying and go back to sleep. And praying. “Thank you Lord for this precious child. Thank you that I have legs to walk, to carry her across this floor. Thank you that I have ears to hear her cries. Thank you that I have arms and hands to hold her. Thank you for the privilege of being her daddy. Thank you for this roof over our heads and food to eat. And thank you that I HAVE EYES TO SEE this precious child. But something happened to that grateful heart over time. With child #2, #3, and #4, those constant feelings of parental uncertainty and fear diminished with experience, knowledge and lessons learned along the way. I suppose routine and comfort tend to nudge away that feeling of closeness to and dependence on God that we feel in times of fear and uncertainty. And I guess that life can become so full that we are so busy worshiping God’s blessings that we fail to honor the One who provided them. It turns out that my missing lens was in the seat of my truck the whole time. As I was popping it back into the frame, it became obvious what a lousy “blessing counter” I had become. Oh give thanks to the LORD, for He is good, For His loving kindness is everlasting. I can’t run, but I can walk. I can’t use my right arm well, but I can use my left arm well (just not with skill). I have pain, but I’m just uncomfortable and not miserable. I struggle terribly with sleep, but I have a real mattress in a home with heating and air conditioning. I know where my next meal is coming from. And I know Jesus as my savior. Shame on me if I utter complaints. It’s all relative. I don’t have problems, I have inconveniences and disruptions. If I allow myself to complain about what I can’t do instead of being thankful for the things that I can do, I risk crushing the spirit of a grateful heart. I still don’t know if Magoo was totally blind. But I do know that we often choose not to see. Give thanks. A grateful heart see clearly what God has done. And it can open our eyes to a broken world that we simply aren’t the center of. Count. Give thanks. Love. Take action. Honest question. If you have to tell somebody you’re a Christian………should you even bother telling them you’re a Christian? Early followers of Christ were known for their love for one another. What are Christians known for today, either fairly or unfairly? We cast a lot of stones. We’re pretty good at digging up scripture that pertains to what someone else is doing wrong. We get hung up on 4-letter words, beer-drinking, proper dress, and gay marriage. We’re pretty good about downplaying the importance of the words of James 3 about taming the tongue. Christians have a pretty massive presence on social media on the argument scene. But some truths spoken in poor spirit in large doses to large audiences (and properly twisted by media) do much more harm than good. We behave as if we are in charge of the deliverance of grace, and we’re stingy with it. We’ve twisted the perception of what being a Christian is. We spend too much energy trying to get people to agree with us while failing to devote ourselves to becoming like Christ. Some battles are worth fighting and God’s truths can’t be compromised. But Jesus commanded His disciples to be known by their love, not by their ability to quote scripture as a weapon to condemn others or win arguments. If we have to tell somebody we’re a Christian, maybe we shouldn’t bother telling them. Maybe we should seek to understand more, surrender more, love more. Be transformed. Then others will know we are Christians by our love, and they will want to follow who we follow. Everyone that we encounter, every single day, its’ safe to assume…….”God wants me to love this person.” It’s not always easy (obviously). Sometimes we have to walk away and pray and try again another day…..day after day. The Bible’s a pretty big book so I guess that gives us a lot of chances to make things a lot more complicated than they should be. But I think Jesus is called Savior for a reason. He changes lives and He saves people. Followers of Jesus are supposed to lead the lost to Him. We don’t have to change anybody or win an argument first (I’m sure somebody will argue me on this). We have to lead a life that makes others want to follow who we follow. I think that those who love most, just has Jesus commanded, stand the greatest chance of influencing those who need Jesus most. Love is greater than knowledge. So don’t get hung up on being “right” as an excuse for actions that aren’t Christ-like. Are My Kids Gonna Recognize and Avoid That Big Pile of Poo? Right from wrong. Truth. All parents want their kids to recognize these things. How will our children choose what is right? How will they define what is right? How will they become critical thinkers? Ultimately, will they develop good decision-making skills? It won’t happen by accident. Blessed with young children in your home? Embrace opportunities early on to not only teach right from wrong, but also to demonstrate truths, values, and worldviews that will form the foundation of their ability to make good decisions as they mature. When my kids were small I made a habit of pushing their buttons of critical thinking by giving them small doses of impossibilities. Tell them you think a puzzle piece goes somewhere it can’t possibly go. Tell them to try the square peg in the round hole. Watch their reactions, guide them toward finding the truth for themselves and toward correct solutions to problems without blindly accepting everything they are told. They don’t have to “question everything” but they do need to assess the value and truth of things as they grow. Crap or not crap? The bad news is that the world is full of lies. But…..the good news is that the world is full of lies. Teaching moments come in large doses these days. Failure is a great teacher. TV and social media flood our lives with perfect examples of “how not to do things”. Be ready to engage in conversations with your kids about the aftermath of bad decisions and the complete crisis of truth. If you are a believer in the truths of the Holy Bible, then you must help your kids figure out daily how to apply these truths in a broken world……….to recognize crap when they see it, to realize when things have no value. -Life is supposed to be fair. -Other people owe me something. Personal responsibility amounts to talking about what other people should be providing for me. -There is great value in physical appearance, along with the attention and approval of others. -If you don’t like the rules, re-shape them to meet your own desires. -Instant gratification always outweighs patience, obedience, and hard work. You can start at the top. -If you fail, it must be somebody else’s fault. Nothing wrong with blaming and excuse making. -Lying is ok as long as you compare yourself to “worse acts”. Results are more important than honesty and integrity. -If you fail to embrace a decaying system of truth and morality, you must be a hater, bigot, sexist, racist. -The president controls jobs and the economy and my prospect of work. -It’s of utmost importance, not only to be right, but to convince others that you are right and they are wrong. -Bruce Jenner……nah, not even opening that one up. -It’s ok for Christians to spew venom toward and gossip about their brothers behind their backs……as long as they don’t use 4-letter words while they’re doing it. There is an abundance of crap out there and it changes every day. As parents, arm yourself with prayer and truth each day. Eyes and ears open. Be intentional when your kids are young. Set out to not only arm them with truth but instill in them a desire to choose it and live it. 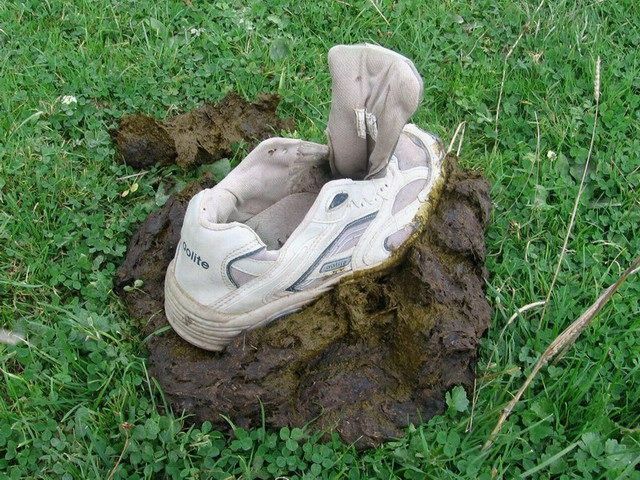 Recognize the pile of poo. Steer away from it. Steer others away. THERE COMES A TIME IN EVERYONE’S LIFE WHERE THEY MUST TIP THE BALANCE AWAY FROM DOING THE THINGS THAT MAKE THEM STRONGER……AND START DOING THE THINGS THAT THEY DO WELL. The ongoing struggle to balance life- family, church, work, community……with God at the center of all. The day may come when balance is an impossibility. There is no fight left in you to get through an average day…….because there are no average days anymore. When you’re picking up pebbles and holding onto them for enough consecutive days, you eventually pack the weight of a boulder on your back. Maybe some pebbles were steps of faith or acts of obedience to God. Some, I’m sure, were misguided steps rooted in people pleasing and over-reliance on self. But carrying something for good reasons doesn’t mean we need to carry it forever. Look to God when you’re still standing instead of looking to Him after you collapse from the weight. Maybe it wasn’t a breaking point, but more like a “something’s gotta change” moment. I picked up my 9 year-old son from Wednesday night church activities after finishing a 14-hour work day. As I was trying to have a short conversation with another adult, play-fighting/wrestling started between my son and me. He hit me with a right hook……so hard that my glasses went flying across the room. As I led him silently (and not so gently) out of the room, another child retrieved my glasses and nervously handed them to me. She knew Kal was in big trouble .And I knew something had to change. I saw a glaring deficit of character in my son and I knew it was time for a sobering look in the mirror to see how he arrived there. Among other things, I told him that this was the worst thing that any of our four children had done………..and then truth hit me square in the face this time. During the first nine years of life for his brother and sisters, I wasn’t off trying to save the world…….living life like God had granted me some sort of invincibility. Raising God-honoring children had been my greatest passion, and I somehow got off course. My life’s not supposed to be easy. Living life at a high rate of speed. Rest is overrated. To whom much is given much is expected. Not worrying, just plotting the next challenge. If you’re doing it for God, then God will provide a way to get through it. Bend over and pick up the next pebble. Sometimes in obedience to God. As the weight gets heavier, does trust in God grow, or does one just simply work harder? Time and energy that God seems to supply when we follow His paths somehow go away. My best hope for changing the world and changing eternity…..is to raise kids who have an amazing impact in this world. Character doesn’t happen by accident, especially the kind that honors, obeys, and loves God. Change has to happen. If I knew how, I would. Pray, and wait, and be ready to make changes today that don’t necessarily bring results tomorrow. I traditionally go Christmas shopping on Christmas Eve by myself. My oldest daughter was in from college, so I asked her to tag along. Thankfully she said yes. We shopped, not because we had to, but because we could. It turned out to be a wonderful day spent together. A day that felt so different than any in recent memory. I transformed into a different person. A person with a greater ability to impact the lives of those around me. Relaxed. Smiling and speaking to strangers. Truly enjoying my daughter’s company. Enjoying the moment in a new way. Later in the evening, I came to realize why. A mind at true rest. The burden of problem solving and problem preventing that normally fills my mind was absent. Even though I’m not a worrier by any means, I am a thinker and a planner…….constantly on guard against winding up in unfavorable situations. Looking too far ahead. Distracted. Missing out on right now. Constantly training and preparing for “tomorrow”. Be careful of a life that becomes so full (even if it’s full of good things) that you spend your days in deep thought trying to solve it all, distracted from the present……..and the people in the present…..and in your presence. A life that becomes too full for rest is in danger of becoming too full for God. God’s love and direction in our lives can become clouded as we live like a panicked drowning man fighting against the person trying to pull us to the surface. For the people who depend on you to shape their future, it’s important to have a vision for the future. But their greatest hope may lie in your efforts to make the most out of each moment in the present……without distraction. Sports teams in preseason practices get dreadfully restless and bored until the real games start. Don’t be a Bengals fan, living each season for “next season”. It’s gone and you can tell that one goodbye! It’s time to carry people instead of rocks! Being a parent is a full-time job. Do it well. The season starts today. Got the right uniform on again. Put me in Coach. Perfect Gifts, Blondie Records, & Who Moved My Stuff? No ugly ties or argyle socks for this dad on Christmas this year. My four kids know me better than that. Ten days removed from Christmas, the decorations are put away. My oldest daughter is settled back in at college. The others dread the end of Christmas break as they return to school tomorrow. And I smile now as I reflect on the significance of each of their simple gifts to me, the beauty in the uniqueness of their personalities, and the ways they arrived at their purchases. From Kal, my 9 year-old, the #1 DAD ink pen. This is most likely my fourth such pen purchased from the elementary school Christmas shop. It represents some of his first efforts into independent shopping and giving. The key is to act like it’s the greatest pen that I’ve ever owned (it’s already broken). The desire to do for others and the joy of giving doesn’t seem to come quite as naturally for boys, so one must work these moments hard. So Kal knows this is, without a doubt, my favorite ink pen. From my 15 year-old son, a Lynyrd Skynyrd book. I taunted him a few weeks back that he had no idea what he was getting for Christmas. He smiled and proudly exclaimed that “you don’t know what I got for you either…..but it’s from the heart, dad. I promise”, as he grinned and patted me on the shoulder as I’ve done to him so many times before. I don’t think he’s ever put a lot of effort into gift buying in the past. But I knew something was different this year as I watched his birthday money going toward handpicked gifts for his brother and sisters (accompanied by his own personal touch of sloppy gift wrap). Anyway, he has a great appreciation and knowledge for a boy his age of cassette/vinyl era music. We share a common bond and have great conversations about the subject. So I have this vision of him in the bookstore coming upon the Lynyrd Skynyrd book, and his realization that it was the perfect gift for dad. The excitement of giving. Well done my son. Welcome to the world of “the joy of finding and giving the perfect gift”. 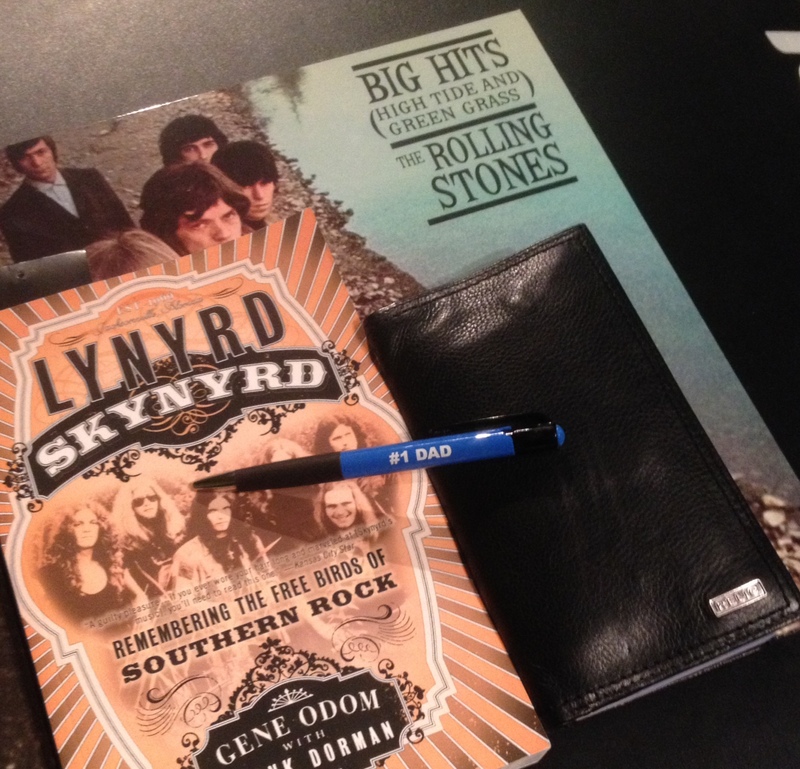 From my 16 year-old daughter, the wallet……and thermal underwear…….and Bengal earbuds. My thoughtful child. Starting in November, coming to me repeatedly, asking me for advice about gift-giving ideas for various family members. Wanting to find a perfect or useful gift for everyone on her list. She’s always taken gift-buying (or hand-making gifts) seriously since the days of those first #1 DAD pens. She understands the joy of giving. She’s a detail person, a giver like her mother and I love that about her. I knew she was watching me for months, trying so hard to find something that I needed. I noticed some time ago that she noticed my ratty, worn out wallet. I knew it was coming. She may have been done shopping before December 1st. She takes giving seriously. I love her giving heart. From my 18 year-old daughter, the Rolling Stones album. A great gift. Maybe even a last-minute gift? I found my albums in crazy order with an album that I would never listen to (Blondie’s Greatest Hits) mysteriously on top on Christmas Eve. Before gifts were exchanged, I jokingly asked the three older kids which one was out shopping and sent sent the text to someone at home “Hey, does dad have _____album?”, but nobody confessed. Or the gift could have been almost an afterthought, because my oldest daughter knows me deeply. We have this wonderfully unique relationship where we share 1,000 words without speaking, exchanging a glance or a smile and knowing exactly what one another is thinking. I honestly wouldn’t care or notice if nobody gave me anything for Christmas. Macy knows this. Sure, she was gonna do something for her dad for Christmas. But she understands that it’s no big deal if she doesn’t. We ended up spending Christmas Eve shopping together, not so much because we actually needed to buy gifts…….but just because we could. And that turned out to be the greatest gift that she could have given me. She isn’t a worrier and doesn’t seem to fret over little things…….has a lot a confidence in her ability to pull things out at the last second, living by the seat of her pants…….like her dad. I love that about her. I sure hope nobody ever frets about finding a gift for me of any sort. I hope my kids all find joy in giving and doing for others year round. And I’m so very thankful that God made each of them so very unique. Sometimes a simple pile of gifts can remind us of so much. Just as my children are unique and wonderful to me, all people are unique and wonderful in God’s eyes. We certainly can’t be everything to everybody, but it’s probably safe to say that we can be more to somebody each day by trying to see that somebody through the eyes of God……even if they happen to be wearing argyle socks and listening to Blondie. 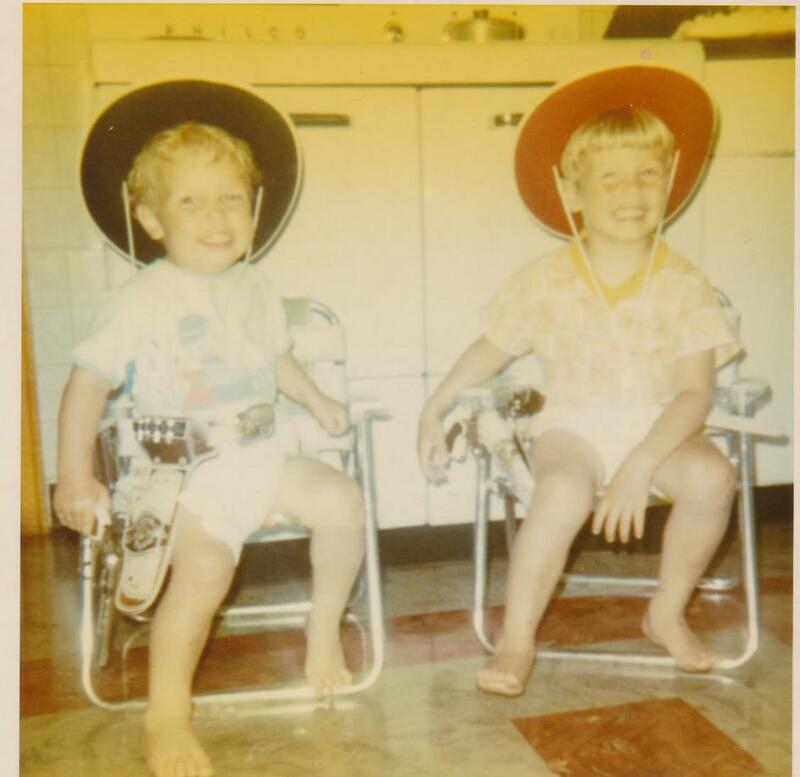 Like most boys growing up in the early 70’s, my older brother and I played a lot of cowboys and Indians. 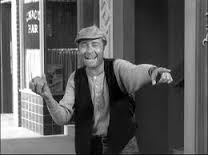 TV choices were limited in those days but I remember large doses of Gunsmoke and John Wayne movies. I recall a Christmas when our prized gifts were matching cowboy rifles with pump action and a real-life firing sound. My memory was foggy as to the timing of the “accident”. I thought it was later on Christmas evening, but my brother tells me it happened on Christmas morning (soon after receiving the guns). I couldn’t exactly remember whose rifle it was, but I clearly remember my dad walking through the house rapidly cocking and firing the gun while referencing a TV show that was no longer on the air (The Rifleman). At the end of the demonstration, the gun no longer made that cool realistic firing sound. It made no sound at all. Memory tells me that I wasn’t too upset at the time. It could have been because I just didn’t worry too much about stuff, even as a kid. Or it could have been because I truly believed that my dad could fix anything. But the truth is that it wasn’t my gun that was broken. My brother and I revived this story this Christmas when I was asked to share a Christmas memory along with my dad at my church for our Christmas Eve service. When I told my brother of my “assignment”, he suggested the same story (and filled in some details that I was pretty sketchy on). But when I brought it up to my dad, he had no recollection of the gun-breaking incident. Christmas is a magical time in so many ways. Dad didn’t remember. But his two sons did…..forty years later. What a great reminder! The things that I do and say today with my kids may seem insignificant to me. But they may be recalling them together forty years later. That’s a pretty awesome reminder to slow down and least try to see Christmas (and life) through the excited eyes of a child. Forty years after the broken gun incident, I have a pretty good grasp on the fact that stuff doesn’t matter. And growing up, my dad really could fix pretty much anything that was broken. But our Heavenly Father can fix everything that matters. People matter. He sent His Son to save all people. Christmas matters. The joy and the hope that we feel today as we celebrate our Savior’s birth should not escape us once the gifts are exchanged and the decorations are put away. It’s a joy worth sharing year round. Just as the magic of Christmas reminds us of an opportunity to create a lasting memory for a child, it should also remind us that all of our thoughts, words, and actions have significance each day. Living a life that models our Savior impacts others for eternity……not just forty years.